Knowing full well we are short on time and often money, fast food manufacturers and grocers lure us into convenient, heavily processed meals that take a toll on our waistline, our overall health, and believe it or not, our budget. With our busy lives, these temptations seem so much easier and affordable than cooking. Between our never-ending to-do lists, demanding jobs, children’s busy schedules, and perhaps less-than-stellar skills in the kitchen, cooking seems to slide down to the bottom of our list of priorities. Unfortunately, we’ve now raised several generations of Americans who don’t know how to cook. And it’s killing us. Nonsense. You can eat well for less money by making simple, whole, fresh food. In fact, a simple dinner for a family of four consisting of roast chicken, vegetables, and salad can cost about half of what dinner at a fast food restaurant would. I visited an obese sick family in the south who had never cooked. They lived on food stamps and disability. With one simple cooking lesson and the guide from the Environmental Working Group (EWG) called “Good Food on a Tight Budget,” they started cooking. The mother lost over 100 pounds, the father lost 45 pounds, and their obese teenage son lost 40 pounds. The son then gained the weight back because a fast food chain offered the only job for teenagers in the food desert where they live. It’s like sending an alcoholic to work in a bar! While today over 50 percent of meals are consumed outside the home, I want to help you reconnect with your kitchen, discover the bounty of benefits it offers, and learn just how inexpensive eating healthy and preparing your own food can be. When people tell me they cannot afford organic produce or healthy cuts of meat, I ask them to consider the gargantuan markup of many convenience foods. Manufacturers package them in “value-priced jumbo sized” containers and grocery stores promote them with price cuts to create the illusion we are getting value. When people tell me eating healthy is expensive, I ask them to factor in what they spend on designer coffees, bodegas, grab-and-go meals, and other conveniences that might spare them a little time but at the expense of their health. Relying on inexpensive, overly processed food is tempting given our demanding lives and schedules, but the cost is quite large. Feasting on the sodium, fat, and sugar bombs disguised as food can lead to serious diseases that cost hundreds of dollars in doctor’s visits and prescription drugs. Chowing down on these things make us sick and sluggish, resulting in less productivity. When we feel crummy, it ripples into other areas of our lives. We have less patience for our loved ones, for instance, and less energy to work or enjoy ourselves. In the bigger picture, that “value menu” is anything but a value. I know what it’s like to live on very little. In college and medical school, I lived on $300 a month (for rent, food, and entertainment). And in residency, I lived on $27,000 a year while supporting a wife and two children. Even though that was 20 years ago, it still wasn’t much for a family of four. These days, I’m even busier, but I haven’t forgotten how to incorporate simple but effective strategies for eating good-quality, healthy food that’s prepared with little money and time. Likewise, I’ve met numerous folks with limited finances and time who nonetheless have access to good quality food. Trust me, they don’t search out arcane ingredients or shop at trendy food boutiques. Instead, they realize the immediate and long-term value of eating healthy and employ some savvy strategies to make their food budget work harder. I mentioned earlier that the food industry spends billions of dollars each year and has become incredibly crafty at convincing us that sugary, processed foods are a real value. Let’s look at three of their myths and consider the truth about eating healthy. Healthy food costs more. Research shows eating healthy, whole, real food isn’t necessarily more expensive than eating junk food, fast food, processed foods, or convenience foods. In fact, the top four things purchased in supermarkets are ALL drugs: sugar, caffeine, nicotine, and alcohol! If you give up those “drugs,” your grocery bill will go down dramatically. Healthy food is hard to find. You don’t have to shop in a gourmet food store, a health-food store, a farmer’s market, or eat only organic to eat well. There are plenty of healthy foods right in your local supermarket. Just shop around the outside aisles of the store. Another convenient way to access healthy food is online. Healthy food takes lots of time to prepare. You don’t have to spend hours cooking complex meals to eat well. Good quality, fresh food is easy to prepare and enjoy once you learn how. Ultimately, it is up to us to take control of our kitchens and our lives. The most radical message we can send the food industry – which considers money, not our health in regard to its bottom line – is to prepare our own meals, make the best food selections within our budgets, and reclaim our health. This does not mean turning bargain food shopping into a second hobby. We are all overworked, overstressed, and overtaxed. Most of us don’t have time to scrupulously compare store prices or cut coupons. Even so, there are ways of making choices that work within our resources. Here are 10 ideas based on how I save time and money AND create better health for myself. Keep a journal. This might be the most eye-opening experience you will encounter to better budget your time, resources, and money. For just one week, keep a journal of every cent you spend and how you spend every hour of the day. Think of money as your life energy. It represents your time in physical form. How do you want to spend this life energy? Choose three things that give you more money. For example, don’t buy that $2.00 coffee every day — that’s $730.00 a year! Likewise, you might find yourself gravitating to the vending machine daily. You can put that money towards much better use. Buy in season. You will almost always get fresher produce, probably locally grown, for less money, when it is in season. Learn the Dirty Dozen. Not everyone has the budget to buy 100 percent organic, but the more you can, the more you will avoid GMOs and have better health. To learn the most and least pesticide-ridden foods, visit this link. Frequent discount grocery stores. Search out cheaper sources of fresh, whole foods in your neighborhood. My top choices are stores like Trader Joe’s and shopping clubs like Costco or Sam’s Club, where you can buy vegetables, olive oil, fruits, nuts, canned beans, sardines, and salmon at much lower prices than regular supermarkets or other retail chains. Join a community-supported agriculture program. Buy direct and cut out the middleman. We get organic, mostly seasonal, local vegetables delivered to our house for $55 a week, or a little more than $10 a person for a family of four per week. We don’t always get to choose what we get, but it makes us more creative cooks. Keep some basics on hand. Develop a repertoire of cheap, easy-to-prepare meals. Have the ingredients available at home at all times so you don’t get stuck eating food that doesn’t make you feel well or help you create the health you want. This takes planning but is well worth it. Create a “potluck club”. Have coworkers share the responsibility of making lunch for the group once a week or every two weeks. No more buying lunch out, and you get to eat real, whole fresh food and only have to cook a few times a month. Or create a “supper club” with a group of friends; rather than go out to dinner, once a week or once a month rotate dinner parties at one another’s homes. You will build community and health at the same time. Order staples online. 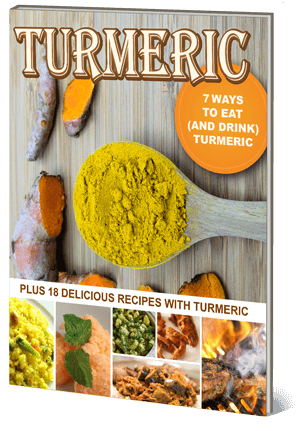 Why pay retail for healthy kitchen staples like turmeric, coconut oil, and almond butter? My new favorite online store, Thrive Market, has everything I need at discount prices. They have a stellar reputation and top-quality products for less than you’d pay at most retail or grocery stores. Once you become a member, you’ll have direct access to wholesale prices on over 3,000 healthy, organic foods and products at 30 to 50 percent below retail, with fast shipping directly to your door.